Micro and Macro line is very simple to use. You just plug it up into the special fitting and when you air it up it seals with compression and an oring inside the fitting. 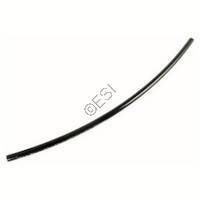 Micro line is great for tight spots whereas macro get you better air flow, but it is not as bendable. Which ever way you choose, we have color options and fittings for you. Macro line hose is the easiest hose to work with when running air for you marker. Cut the ends straight with a razor blade (not scissors) and slide it in to a Macro Line Fitting. You're good to go! 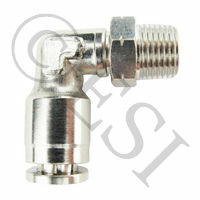 This fiting has standard 1/8 inch NPT male threads on one end and then accepts a macro line hose. Macro line hose is the easiest hose to work with when running air for you marker. .